Disclaimer: The material contained herein is intended to provide general information about vegetarian/vegan nutrition as a public service and should not be construed as personal medical advice. For medical advice on diet or other matters consult a competent physician. Information obtained from the thenutritionmd.com by Jay B. Lavine, M.D. Isn’t this kind of diet dull and bland? Can’t I just take a supplement instead of eating all those fruits and vegetables? Does a vegetarian have a higher risk of nutritional deficiency? Why is vitamin B-12 important? How does one assure adequate iron intake? How do you get enough calcium if you don’t consume dairy products? Don’t children need to drink milk? Where do vegetarians get their protein? Don’t they have to combine certain foods to make a complete protein? Why is it healthier to eat whole grain as opposed to refined flour products? Should refined sugar be avoided? Is a low-fat diet really healthy? Isn’t the olive oil-containing Mediterranean diet a healthy diet, though? Can a heart-healthy diet include eggs? Why don’t vegetarians eat fish? Isn’t eating fish healthy? But isn’t it true that there are no truly bad foods and that we should be allowed to eat just about anything in moderation? 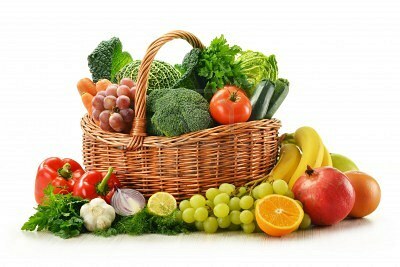 A vegetarian diet includes grains, vegetables, fruits, nuts, and seeds. Lactovegetarians consume dairy products, and ovolactovegetarians consume eggs as well. 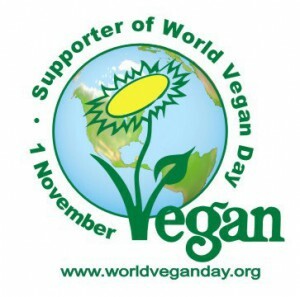 A total vegetarian diet, also called a vegan (vee’ gun) diet, excludes all animal products. There are many possibilities besides the obvious fruit and vegetable salads. Soups of various kinds; spaghetti and other pasta dishes; vegetable stews; casseroles; whole grains breads, rolls, bagels, and muffins; and Oriental dishes are just some of the choices. 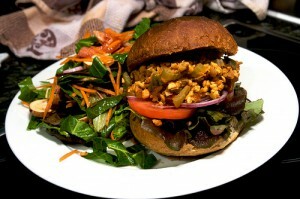 There are soy, sesame, and other vegetable-based burgers, and soy-based hot dogs as well. For convenience, excellent frozen dinners are also available. The taste of fat that most people are used to may be absent, but you will soon learn to savor the subtleties of flavor of various vegetables, herbs, and spices that will have you yearning for more. Your tastes will become more sophisticated and you will enjoy the clean, fresh taste that food is supposed to have. Vegetarians live longer and become sick less often. Diets high in vegetarian foods can greatly reduce the incidence of heart disease, most of the major forms of cancer, high blood pressure, obesity, adult-onset diabetes, kidney stones, gallstones, and other chronic ailments. Not really. 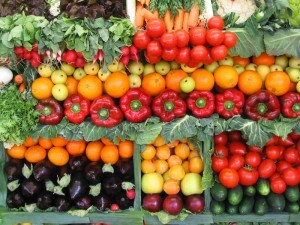 To obtain the full spectrum of health-promoting phytochemicals (plant nutrient-chemicals), you must consume the foods. Further, nutrients in supplements do not always assume the same form as those in foods. Synthetic beta-carotene supplements, for example, contain primarily one form of beta-carotene, all-trans-beta-carotene. Foods also contain significant amounts of the cis forms of beta-carotene, which may be stronger antioxidants than the all-trans form. Vitamin E provides another good example. Some studies show that vitamin E from foods, as opposed to that from supplements, may help prevent certain diseases. Why should this be? In nature, vitamin E assumes eight forms, four tocopherols and four tocotrienols. Although alpha-tocopherol is the best known of these forms, gamma-tocopherol predominates in the diet. This gamma-tocopherol may be a better antioxidant than alpha-tocopherol with regard to certain oxidants, and many tissues of the body seem to concentrate it. These findings may explain why higher levels of gamma-tocopherol in the blood are associated with a lower risk of heart disease. And the tocotrienol forms of vitamin E may be even better antioxidants. Unfortunately, vitamin E supplements, even those marketed as “mixed tocopherols,” generally consist primarily of alpha-tocopherol. Therefore, supplements are not a good substitute for the full spectrum of dietary vitamin E. Richest sources in the diet are soyfoods, whole grains (wheat germ), pistachios, pecans, peanuts, walnuts, and Brazil nuts. On the contrary. Any poorly planned diet can be deficient, but, in general, the risk of deficiency is lower with a vegetarian diet. True, vegetarians should supplement with vitamin B-12. True, less iron and zinc is absorbed from the average vegetarian diet as compared with the usual Western diet, although a well balanced vegetarian diet should supply adequate amounts of both. And although it is true that there is little vitamin D in unfortified vegetarian foods other than mushrooms, vitamin D is really a hormone best obtained by exposure of the skin to sunlight. On the other hand, vegetarian diets are much richer in vitamins C and E, both important antioxidants. They are also much richer in important minerals like magnesium and manganese, which are often lacking in Western diets. Sufficient magnesium may help prevent a whole range of illnesses, including osteoporosis, high blood pressure, adult-onset diabetes, kidney stones, and heart disease. 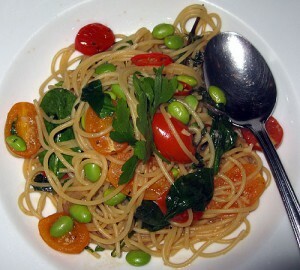 Vegetarian diets are much higher in fiber, which is completely absent in animal products. Finally, vegetarian diets are much richer in phytochemicals, plant nutrient-chemicals that may help prevent cancer, heart disease, and many other problems. The deficiency in phytochemicals is probably the biggest drawback of meat-based diets. Modern hygienic methods of food production eliminate soil-derived bacteria that produce vitamin B-12. Deficiency of this vitamin results in cognitive (thinking, memory) and other neurologic problems early on. Anemia generally occurs later. Only 2.4 micrograms a day of vitamin B-12 is necessary for adults with normal digestive systems (slightly more for pregnant or lactating women). Fortified soy milk, cereals, or other foods can provide this amount. Otherwise, a supplement of 1,000 micrograms weekly or 2,000 micrograms biweekly should be sufficient. Although eggs contain some vitamin B-12, it may not be as well absorbed as that derived from other animal products, so ovovegetarians should supplement somewhat as well. Some people, especially the elderly (1 out of 8 persons over age 65), develop vitamin B-12 deficiency because of gastrointestinal absorption problems, and this occurs regardless of what they eat. For them, injections or high oral doses under the supervision of a physician are necessary. Vegetarian foods contain much iron although it is not as well absorbed as the form of iron found in animal flesh. Too much iron may result in a pro-oxidant effect, so a well-planned vegetarian diet may the the best way of obtaining enough but not too much iron. Tea inhibits iron absorption and should not be consumed with meals. Dairy products contain almost no iron and may even inhibit iron absorption, so their use should be minimized. Vitamin C greatly increases the absorption of iron from plant foods, so vitamin C-rich foods consumed with meals can help. Many dark, leafy green vegetables, potatoes, watermelon, and strawberries are examples of foods that are good sources of both vitamin C and iron. Other good sources of iron include lentils, garbanzo beans, almonds, sesame seeds, and blackstrap molasses. All other mammals obtain adequate calcium beyond the age of weaning without drinking milk, so we should also be able to. Calcium-rich foods include many dark, leafy green vegetables (kale, collards, bok choy, mustard greens, broccoli), figs, almonds, and tofu made with calcium sulfate. Sugary foods like blackstrap molasses and calcium-fortified orange juice are rich in calcium, but the calcium may not be well retained by the body because of the sugar. Loss of calcium in the urine can be avoided by eliminating from the diet the excess protein from animal flesh and eggs and by minimizing salt and sugar intake. No. In children less than one year of age, cow’s milk may cause intestinal bleeding and promote anemia. It may also cause colic, even when consumed by a mother who is nursing her infant. Cow’s milk is very different from human milk, being lower in iron, vitamin E, and essential fatty acids and too high in sodium, potassium, and protein. The Committee on Nutrition of the American Academy of Pediatrics has therefore recommended that cow’s milk not be given to infants under one year of age. Does cow’s milk suddenly become healthy, then, for children over age one? No. Although controversial, milk consumption by children may increase the risk of juvenile diabetes. In adults, it has been linked in some studies with ovarian cancer and with lymphoma. And the saturated fat in milk can raise blood cholesterol levels. Children who do not drink milk, however, should consume at least four or five servings of calcium-rich foods every day. All whole foods, including grains, vegetables, and fruit, contain protein. If you avoid “junk” foods and eat enough of a variety of whole foods to maintain your weight, you should easily meet your protein requirement. The average Western diet contains too much protein, which may increase the risk of kidney stones, osteoporosis, and cancer. 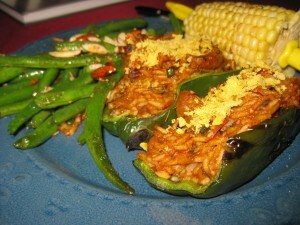 Vegetarians do not need to “combine” any foods. “Complete protein” is a myth. The protein in every whole vegetarian food contains all of the essential amino acids, the building blocks of protein that must be supplied by the diet. True, some vegetable proteins may have relatively more of some amino acids than of others, but there’s nothing that says we have to consume amino acids in the exact proportion used by our bodies. In addition, if a person’s diet is a little low in certain amino acids, the body adapts and retains more of those amino acids. If you ate enough of any one vegetable’s protein to meet your daily protein requirement, you would also be meeting your requirement for each of the essential amino acids. Refining of flour causes the loss of the majority of its nutrients. Most people think of fiber when they think of whole grain products. But most of the mineral content, including magnesium, zinc, selenium, copper, and manganese, is lost. Only iron is replaced. Some of the lost B vitamins are replaced, but vitamin B-6 and pantothenic acid are not. Whole wheat flour is rich in a wide spectrum of the natural forms of vitamin E, including the tocotrienols with their special properties. Unfortunately, almost all of this vitamin E is lost in the refining process as well. Important phytochemicals (plant nutrient-chemicals) are also lost, including lutein, the carotenoid that gives whole wheat its golden color, and phenolic acids like ferulic acid, which are antioxidants. Although nutritional studies in the past often ignored the differences between whole and refined grains, things are changing. A recent study from Italy showed that people who infrequently consumed whole grains had five times the risk of soft tissue sarcomas (cancer) as those people who consumed whole grains frequently. Other studies have shown a lower risk of heart disease in women who consume higher amounts of whole grains. Therefore, whether you’re eating bread, spaghetti, bagels, or rice, always choose whole grains. Sugar, a natural constituent of fruits and vegetables, is present in every diet. But excess sugar represents empty calories that fill you up, causing you to avoid nutritious foods. It is also a cause of dental cavities. Sugar causes the loss in the urine of a number of important minerals, including calcium, magnesium, zinc, and chromium, and these losses may increase the risk of certain chronic diseases. Sugar may also increase the levels of the blood fats known as triglycerides and lower the levels of HDL cholesterol (the “good” cholesterol) in susceptible individuals. Contrary to health food store mythology, refined sugar does not affect the body any differently from unrefined sugar, and sugar does not have any immediate ravishing effects on mind, body, or soul. Preferred forms of sugar include blackstrap molasses, rich in both iron and calcium, and fruit juice concentrates, which may retain a little of the fruit’s nutrients. There is abundant evidence that a low-fat diet can lower the risk of heart disease and cancer. The pronouncements of those favoring higher fat diets are usually colored by personal dietary preferences. A low-fat diet may require some adjustment to one’s palate, but that change occurs readily over time. I favor a diet with no added oils or fats. Our small dietary requirement for fats can be met by the fat naturally present in whole grains, vegetables, nuts, and seeds. Whole wheat flour, for example, derives 5% of its calories from fat. The well-known Lifestyle Heart Trial showed that coronary atherosclerosis (hardening of the arteries) could be reversed by a regimen that included a no added oil vegetarian diet, exercise, and meditation (for stress reduction). Some would claim, though, that a diet with added olive or canola oil can also produce a favorable cholesterol profile in many people. However, cholesterol levels represent only one risk factor for heart disease. The coagulability (tendency to form clots) of the blood is felt to play a role in the atherosclerotic process as well, and dietary factors are important here. It appears that consuming significant amounts of any vegetable oil will increase the blood’s coagulability. Furthermore, since dietary fatty acids of all types appear along with cholesterol in atherosclerotic plaques (areas of hardening of the arteries), oils may promote coronary heart disease by other mechanisms as well. The contention that oils may play a role in the development of heart disease is supported by the results of the CLAS (Cholesterol Lowering Atherosclerosis Study) study, which suggested that “protein and carbohydrate are preferred substitutes for fat calories, rather than monounsaturated or polyunsaturated oils.” Therefore, until a diet with added oils is scientifically shown to produce the same results as those seen in the Lifestyle Heart Trial, I will continue to support a low-fat diet, one deriving about 15% of its calories from fat, as the ideal. The Mediterranean diet is a relatively healthy diet, but that does not mean that it is the ideal dietary approach. True, olive oil contains flavonoids, phytochemicals that my help prevent chronic diseases. 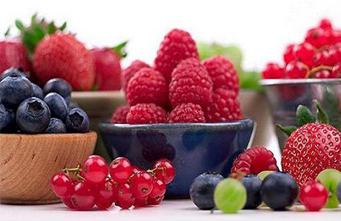 But one can also obtain an abundance of flavonoids with similar properties by consuming low fat fruits and vegetables. Further, there is more to the Mediterranean diet than just olive oil. It is a plant-based diet containing relatively modest amounts of animal products. These dietary factors may be largely responsible for the beneficial effects on health. Other factors, such as a low stress lifestyle, may also contribute to the health of those in the Mediterranean region. Since 20% of the cholesterol in the bloodstream derives from cholesterol in food, high cholesterol foods should be avoided if one is serious about lowering blood cholesterol levels. Although a few studies have not shown a cholesterol-lowering effect from the addition of eggs to the diet, these studies generally involved people who were already consuming large amounts of cholesterol. Adding cholesterol to such a diet often makes no difference. However, eating cholesterol-rich foods like eggs appears to increase the risk of heart disease independent of any cholesterol-elevating effect. The rise in chylomicrons (fat-rich particles) in the blood after a cholesterol-rich meal may directly promote hardening of the arteries. Further, egg consumption increases the tendency of LDL-cholesterol (the bad form) to become oxidized, and this in turn facilitates hardening of the arteries. For those who want to consume eggs in modest quantities, eggs from flaxseed-fed free range hens are preferred. These eggs are higher in long-chain omega-3 fatty acids, which may mitigate somewhat the effects of the cholesterol. To ethical vegetarians, it’s not healthy for the fish, most of which are raised by aquaculture and live greatly restricted lives, much like warm-blooded farm animals. From the health standpoint, the data from studies on fish consumption and heart disease are conflicting. The main benefit may be the effect of substituting fish, low in saturated fats (which promote heart disease), for animal flesh that is higher in saturated fat. Fish does contain a significant amount of cholesterol, however, and there is no evidence that adding fish to a vegetarian diet is beneficial. Other negatives associated with fish include its high content of the acidic, sulfur-containing amino acids, which may promote osteoporosis and kidney stones; the absence of fiber, as in all animal products; and the amount of environmental toxins frequently found in the flesh of fish. There are mainly two groups that advocate this position: 1) those in the nutrition business who are in the pocket of various food industry groups, and 2) people who have no limits in their lives, which are manifested by an “if it feels good, do it” philosophy. Is it okay to smoke cigarettes in moderation? After all, even apple sauce in excess can be harmful, according to one tobacco company executive. True, cigarettes have no redeeming value whereas foods contain nutrients. But if you can get the same nutrients from foods A and B, and you know that B contains substances that may be harmful to health whereas A does not, then why consume B at all? Similarly, is it okay for Jews, Moslems, Buddhists, Seventh Day Adventists, or ethical vegetarians to eat just a little pork? Clearly not. If anything, the lives of people who place limits on their daily functions and activities are enhanced by the experience. They’ve developed a self-discipline that keeps them from feeling deprived just because they can’t follow every temptation, even in “moderation.” Those who feel threatened by recommendations not to eat one food or another would greatly benefit from the development of this type of self-discipline.